Are you looking to get dressed up like a cowboy? The Western fashion style is highly versatile and you can create the western style with many kinds of outfits with bits of tweaks. Whether you are looking for ideas on how to dress like a cowboy for some occasion or just want to carry this style as casual wear, you can choose the western look for men that will come in classic pure cowboy look or a formal western cowboy suit. Fashion industry, keeps adding a touch of change to its collection all types of outfits as well as various themes. Getting dressed is all about presenting your personality in the best and flaunting way possible. 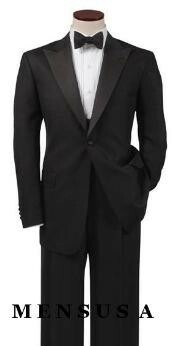 Western suits for men suits all kinds of physiques and men of all sizes. 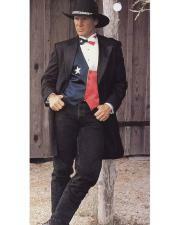 You can choose to look stylish, comfortable, bold and best in western cowboy suits for men. Add a little suave to your fashion sense with a little savvy dressing. Western men's suits are also called as the cowboy suits which are mostly worn for cowboy style and cowboy themed events. 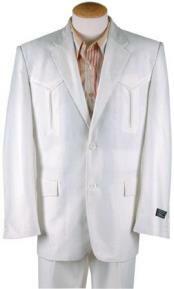 But now, you will find western formal suits for men with a mild touch of the cowboy style. 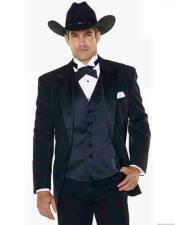 Pick a black cowboy hat with a black western men's suit, this combination will compliment the fancy look. You can choose to go for a grey colored belt. 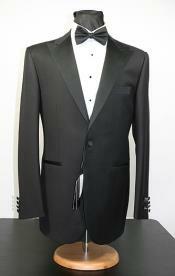 This combination looks great when the black western suit is well tailored to best ft the body. As far as pants are concerned, you can maintain the choice of wearing black formal pants that comes along with the western suit. 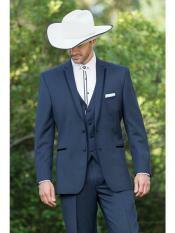 This is the simplest and most decent example of western suit in cowboy look. With the growing popularity of the cowboy trend, many men prefer to keep cowboy themed weddings. This way you can have a themed wedding with a different idea. For a western look for your wedding, you can choose to pull on a hat with classic grey western tuxedo. 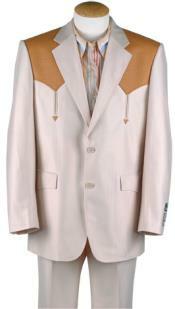 This is best suited option for a cowboy themed wedding. 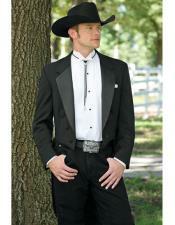 Most of the cowboy western formal collection comes in the combination of black and grey. 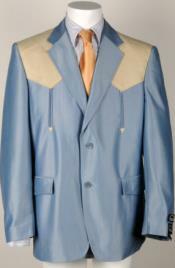 Yet of course there are a number of other options that you can consider with the western suit. 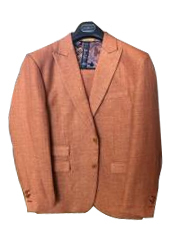 A cowboy suit for the wedding will actually grab the attention of the crowd to notice how the groom is dressed in a western tuxedo or a cowboy tuxedo. 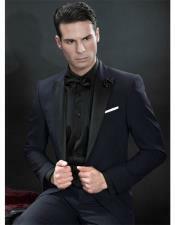 Mensusa sells amazing collections in mens formal western wear. You will find classic options to choose from in cowboy wedding suits, western suits for wedding, formal basic western suits and so on. 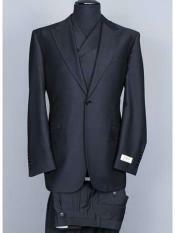 Pick from a wide range of different designs in western style suits for men at our online store. 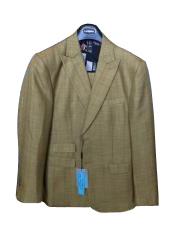 We stock all men's sizes, different color options, various designs and patterns in western suits collections for men. 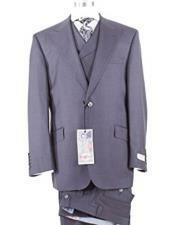 Browse this category to pick the best western suit online.